Even the slightest damage to your sewer line affects your home and its surroundings. It is a complex damage, the entire community will be affected. Raw sewage and wastewater spill are some of the aftermaths of a broken sewer. Two different cases of wastewater and sewage spill were recorded in the St. Louis County, Webster Groves, Missouri, a couple of months ago. In one occurrence, a sewer main broke at Jamestown Mall, causing sewage to spill into Coldwater Creek in north St. Louis County. In another, about 77,000 gallons of sewage spilled into a creek in south St. Louis County. This shows that the residents of the area pay little or no concern to their sewer line. Unfortunate occurrences like the above might end up causing diseases and infections like diarrhea, vomiting, cholera, etc. to the residents of the community. They also create breeding spots for pest and flesh-eating bacteria. How will you feel when you come back from work to meet the sewer line in your home clogged or broken? Disappointed? Emergency sewer issues can be disgusting. Your entire plans for the day become messed up. The best thing to do is to prevent such from occurring by making necessary repairs once you notice that your sewer line is not functioning properly. 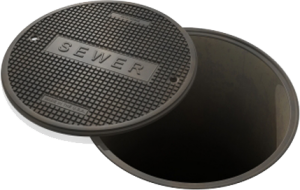 If you are looking for reliable, professional sewer repairers to help provide a suitable fix to the broken or faulty sewer line in your Webster Groves, Missouri home, Nu Flow of St. Louis is the perfect fit to get the job done. For several years now, we have been serving the sewer repair needs of homes and business in St. Louis County, and Webster Groves, Missouri area. At Nu Flow of St. Louis, we work with a team of knowledgeable, highly skilled, sewer repair professionals that have undergone a detailed training on various ways of fixing sewer line issues effectively. Whether your sewer pipes are partially or completely damaged, we will get it repaired. Using the cutting-edge equipment and technical expertise at our disposal, we promise to will help get your sewer line, drain pipes, and your entire piping system back to the optimum working condition. Furthermore, our experts will carry out a thorough inspection on your sewer line using camera sewer inspection technique. Through this, we will be able to deal with the root cause of the damage and ensure that you do not experience such again. It only takes a short period to complete the sewer repair process. All our services are well detailed and transparent. Are you having challenges with the sewer line in your St. Louis home? Do not wait until your sewer line becomes completely damaged before calling on an expert to check it out. Once you notice that your sewer line is draining sewage slowly, call us at Nu Flow of St. Louis to look into the issue immediately. We will fix it within a short period.